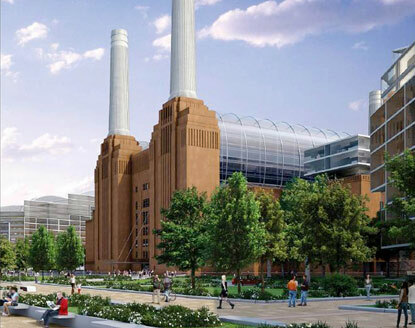 Who are Battersea Power Station co-owners Sime Darby? Producing palm oil is already a bad thing on its own (see our previous blog ), but Malaysia-based multinational conglomerate Sime Darby (a.k.a co-owner of the Battersea Power Station) also violates numerous contracts and even acts in an illegal way, according to Friends of the Earth. Continue reading for a summary on Darby’s careless actions, all based on reports by Friends of the Earth, which are attached at the bottom of this article. The multinational conglomerate is developing palm oil plantations in Liberia, swallowing up farmlands and forests used by local communities to sustain their livelihoods. The contracts for land concessions signed by Sime Darby and the Liberian government violate several Liberian laws and regulations as exposed by a government agency report released a few months ago. They also violate several human rights principles in conventions ratified by the Liberian government as well as principles enshrined in Liberian Law. Sime Darby’s plantations in the Ketapang district in West Kalimantan, Indonesia, are unlikely to achieve RSPO certification in the near future. The company has allegedly illegally deforested protected forest at Ketapang and is producing palm oil on this land. 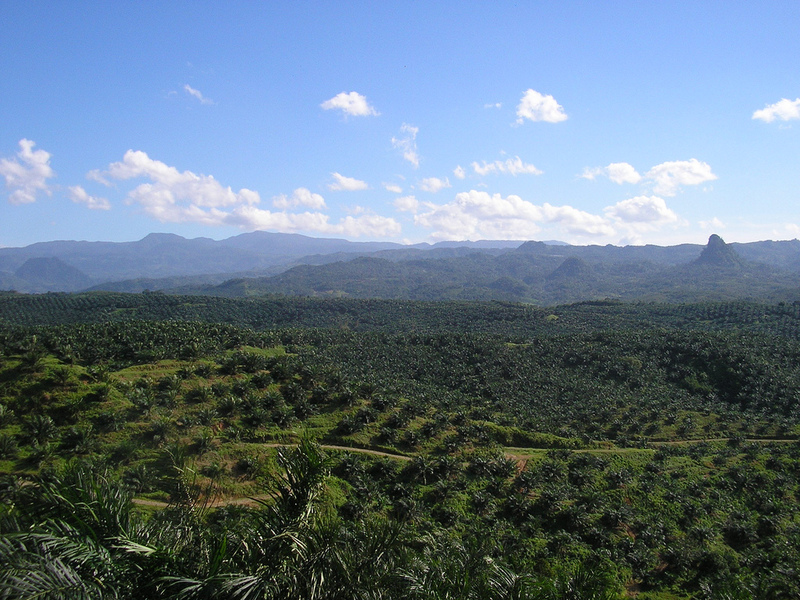 Sime Darby’s 100 – per – cent owned subsidiary PT BAL has cleared 2,600 ha of concessions that overlap with Protected Forest. This is what a Forestry Department team discovered in 2003. Another wholly-owned subsidiary, called PT SNP, has a 1300 ha concession that overlaps protected forest. Parts of this have again been cleared and planted without permission. Indonesia was one of their victims as well. More than 2 million hectares of forest, including protected forest and conservation areas, have been illegally converted to palm oil plantations. 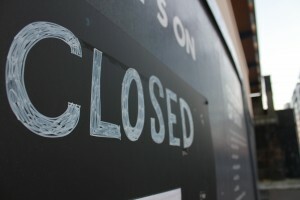 The Liberia Extractive Industries Transparency Initiative (LEITI) has found that contract award process between Sime Darby and the Liberian government did not comply with local land laws, failed to conduct public consultations or produce due diligence reports as required by Liberian rules. 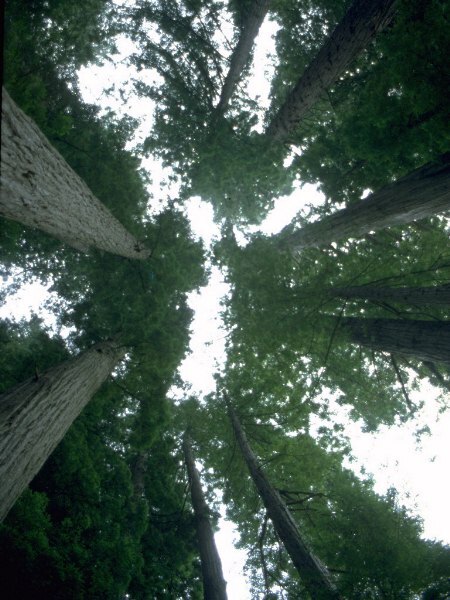 wetlands, agricultural lands, and mainly intact natural forested areas. This area houses a variety of animal species including Water Chevrotain and African Buffalo, both of which are protected under Liberian laws. Various species of forest and lowland birds, as well as reptiles including crocodiles are found in the area as well. Another concession area (Bopolu District,Gbarpolu County) also has significant forest cover. -By allowing the degradation of food security by not mandating that the company find alternative nutrition sources for community members who lose farmland to the plantations. -Not giving communities the opportunity to say ‘no’. – No further deforestation and other environmental degradation should take place by Sime Darby in any of the concession areas. Sime Darby’s expansion into Liberia is part of the company’s ambition to reach 1 million hectares of plantation land in the next five years. This would very nearly double its current palm oil plantations area and would inevitably involve large scale deforestation to create new land. But unfortunately, it is not alone. IOI and Cargill, are also expanding their operations into new land including forest. Let’s hope these ’’opportunities’’ won’t arise at all. euro and assisted with issuing new bonds with a total value of 250 million euro. The company is highly supported in their destruction, so it seems. Furthermore, the largest European shareholders of Sime Darby are the Norwegian Government Pension Fund – Global, the British asset manager Schroder Investment Management, the Dutch pension fund Pensioenfonds Zorg en Welzijn (PfZW) and the German Deutsche Bank. Deutsche Bank is also the largest European bondholder together with AXA Group (France). HSBC and Standard Chartered (both from the United Kingdom) are the only European financial institutions that have assisted Sime Darby to issue new bonds. To conclude with, EU biofuels targets are driving deforestation of tropical rainforests as Sime Darby’s operations in Indonesia and Liberia reveal. They will continue to expand elsewhere to meet the extra demand for palm oil, therefore causing indirect greenhouse gas emissions. The EU must account for the emissions caused by the new demand stemming from its targets. See the full PDF’s on this, reports by Friends of the Earth. 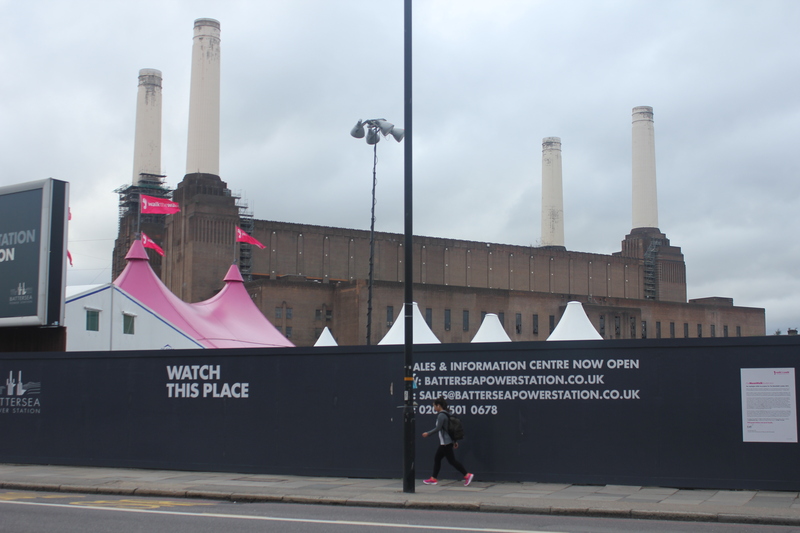 The new owners of Battersea Power Station may not know much about property development, but they do have excellent PR. 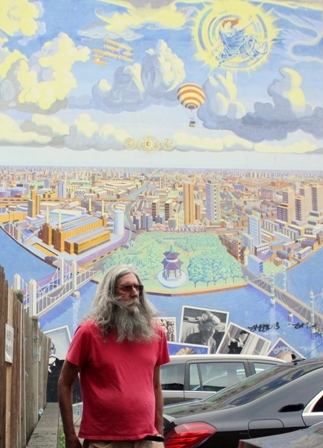 The hugely successful Open House London day attracted tens of thousands of visitors who queued for hours to catch a brief glimpse of this much loved building. However, in PR terms, it was a bit of an own goal. 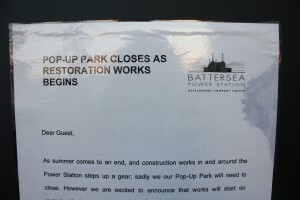 As only a few days later, the World Monuments Fund listed Battersea Power Station as an endangered world heritage site. See our blog on this. Noticeably, they claim it to be one of the best-loved landmarks of the capital. The Evening standard did not mention this embarassing listing either. 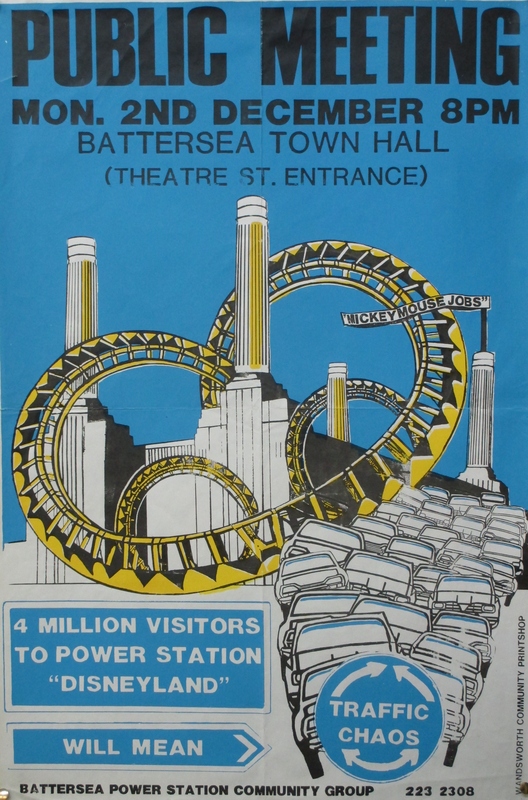 Since they recently made Battersea Power Station a front cover image as part of their association with “The Power 1000 – London’s most Influential People” critical reporting of Battersea Power Station from the Standard, which was always weak, has been significantly lacking. See our full article about the owners’ pro – active approach to media management. Interestingly, the owners were unable to provide visitors with updated information about the new phasing of the demolishing of the chimneys. 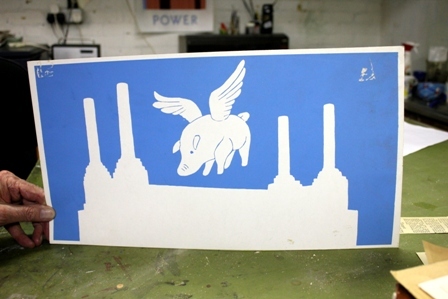 This was left to a small group of local volunteers of the Battersea Power Station Community Group. Watch our video about the demonstration against these plans during London open house. The owners have also not mentioned their plans to make a bio fuel power station. If you think bio fuels sounds good, look at this chart. And then there’s the PR problem with main partner Sime Darby’s significant role in deforestation and the extinction of the Orang u Tang. 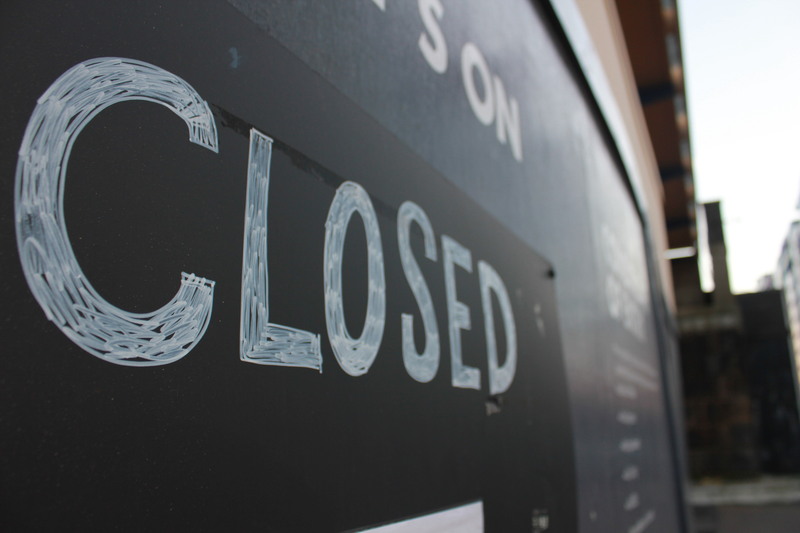 Despite these obstacles, they are still winning the PR – war as many people believe they are going to start to renovate the Power Station “at last”. 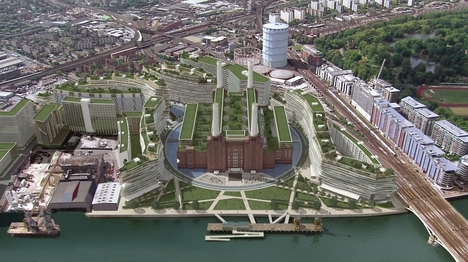 However, phase 1 is only building ugly greedy soulless flats for investors that will block most of the views. 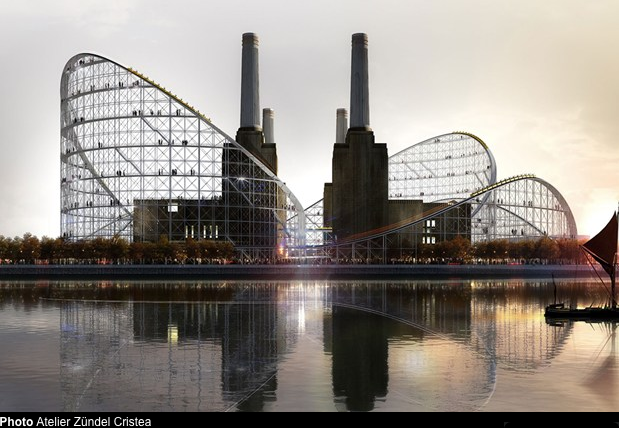 And phase 2 involves demolishing the chimneys and, they claim, replacing them with replicas. The current agreement is that they have permission to take down one, and that is including the art deco brickwork on the top. They will rebuild the first one to 25 meters, which is about halfway. When they have reached that point, they can take the other three chimneys down and then they will continue rebuilding the first. So it’s essentially one plus three. Now at some point down that route, if there’s a default, the developer either refuses, or claim they ‘cannot put them back up’ or they run out of money, the chimneys, like the roof, will not be put back. 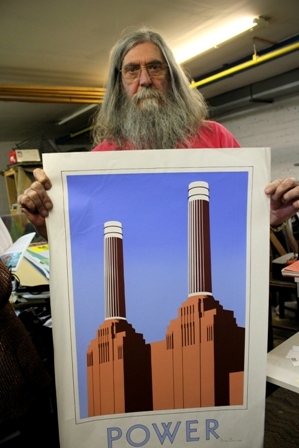 The cost of putting back three and a half chimneys is massive- far more than the “bond” being asked. They are also not keen to draw attention to their recent request to dismantle the two listed cranes that are disgracefully being allowed to rust away, in order to provide a jetty for taking underground extension tunnel soil out via the river. They have a very long water front it is typical that they should insist it can only work by demolishing the cranes. To us and any one interested, except English Heritage and Wandsworth council who collude in the hidden master plan, the owners are pursuing a policy of demolition by stealth. This blog has been sourced from an article by David Carrington, for The Guardian. Click here if you would prefer to view the full article. A new data leak has revealed how certain bio-fuels can have a worse impact upon the environment then fossil fuels. Although some bio-fuels can be advantageous in preventing climate change, others such as palm oil are quite the opposite due to the large carbon footprint that they generate. In distinguishing the good bio-fuels from the bad ones it is also important to account for factors such as deforestation and other man made sources of pollution that are involved in harvesting bio-fuels. Second generation fuels (SG), particularly those that are land-using such as Biodiesel and Ethanol produce the least CO2. While sugar cane and corn maize are thankfully less harmful then crude oil, however their carbon footprint could still be considered a cause for concern. An important factor that helps assess how beneficial or environmentally unfriendly bio-fuels are is sourced from research into more sustainably advancements, with the latest examples in sourcing low carbon bio-fuel come from seaweed and algae. An EU target has been made to ensure transport fuels incorporate 10% of bio-fuels by 2020. However the production of certain bio-fuels has been named ‘unethical’ in relation to the environment and to human rights. Research groups meanwhile have branded it ‘immoral’ to not look for an alternative to using fossil fuels. Issues surrounding the production of second generation fuels, how the EU brands fuel sustainability, other recent studies into bio-fuel carbon footprints.